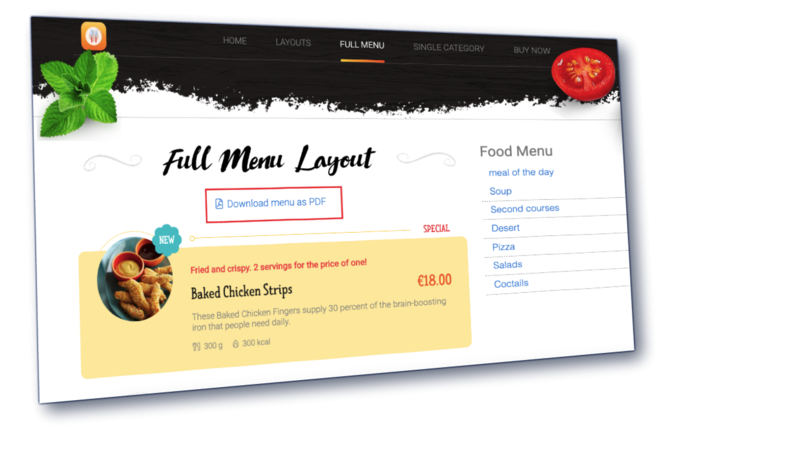 Print the latest version of your menu in a snap with FW Food Menu. Just click Download as PDF button and save your menu as a print-ready PDF-file. This feature is particularly helpful when new specials or seasonal dishes are added. Thus, there is no need to start a new menu from scratch. Get it uploaded and printed right after updating. 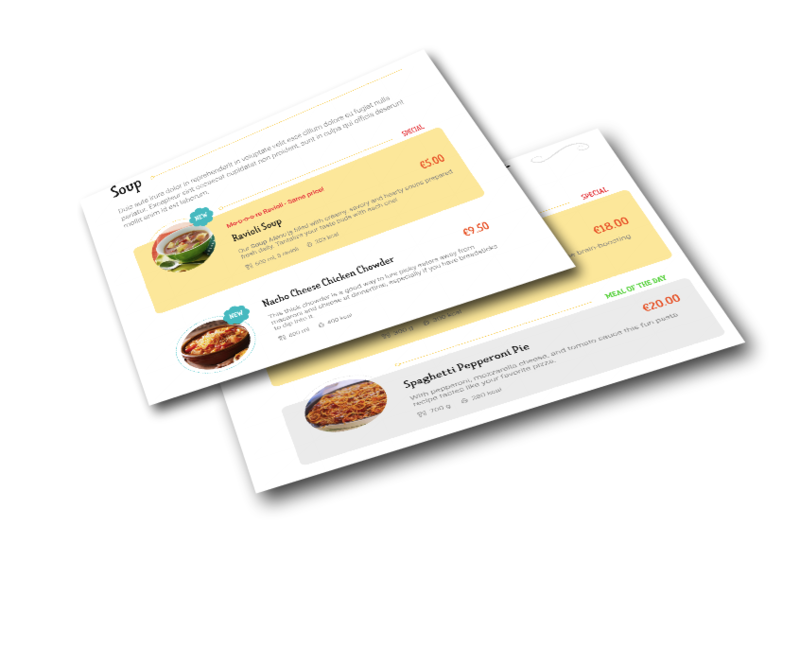 FW Food menu offers effective promotional tools to help you create a sleek and functional online menu. Go to the Promo options in the meals settings and configure them as you like. As a result, your new dishes, specials or meals of the day will be highlighted with an eye-catching sticker inside a colored box and/or placed on the top of your menu list. A good menu should be logically structured. If it is not, your clients may get confused and that’s never good for the online menu. 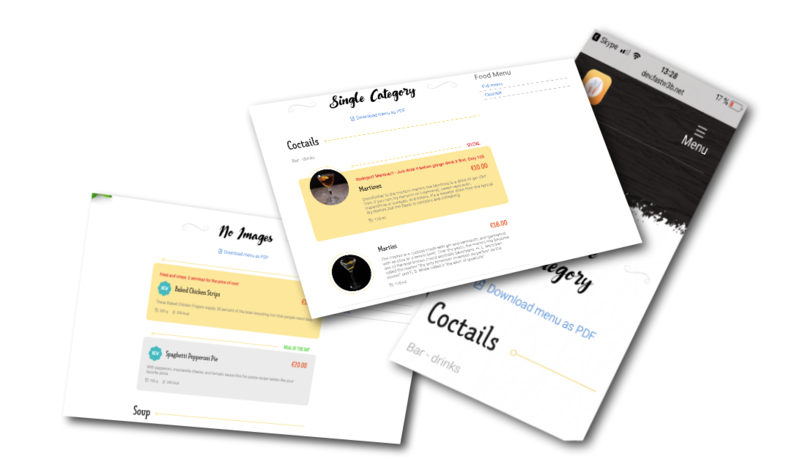 FW menu categories make your menu simpler allowing your users to quickly scan your menu and make an order. Go to the Categories section and configure separate categories for your meals and drinks in a few clicks. Full category menu, single category layout, no images list. 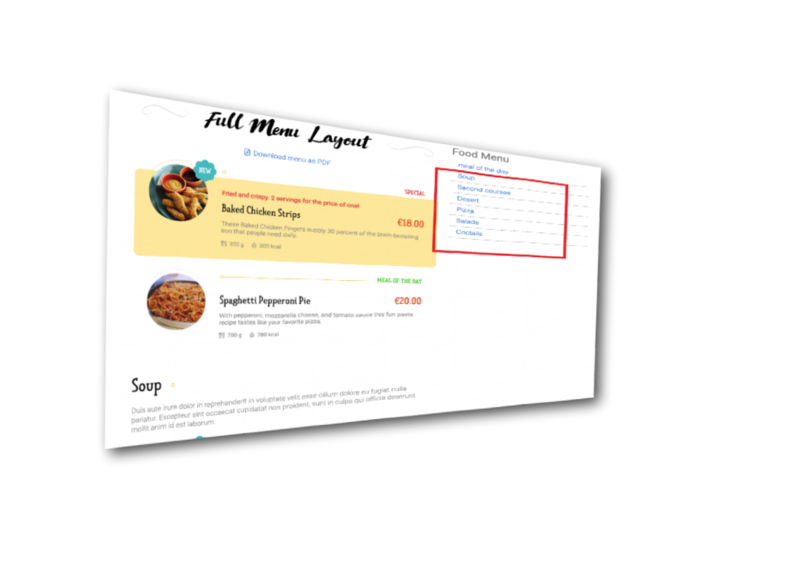 Create your menu style with HTML description for every meal. Assign meal or drink picture to make online menu more attractive. Price currency parametres for proper sign and abbreviation codes. Meal or drink size information. © 2019 FW Food Menu demo website by Fastw3b. All rights reserved.